We received the Fitness Activity Tracker HR from Letscom. 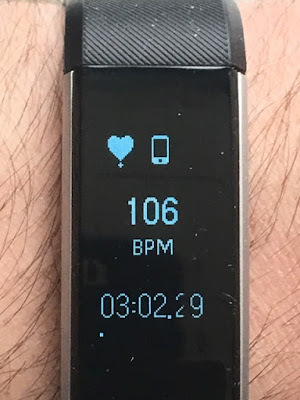 I've been excited to share this fantastic fitness tracker with you all. I've had one before and this is by far better at an even more affordable price. These come in black, green, purple, and red. This was so simple to download the app and pair with my phone. It connects the GPS on your cellphone so you can see real-time run stats like pace and distance on display and record a map of your workout route. You can track your activities all day accurately. Record activities like steps, distance, calories burned, active minutes and your sleep status. There are 14 exercise modes that help you better understand specific activity data. The GPS can show run stats like pace and distance and record a map of your workout route. Track specific exercises like running, riding, treadmill, spinning or yoga and more. You can see your workout stats on display. There are 8 default sport modes on this fitness tracker, and an additional 6 sport modes can be added in the APP. So many people start their year off thinking about a healthier lifestyle and this is a great way to get started. 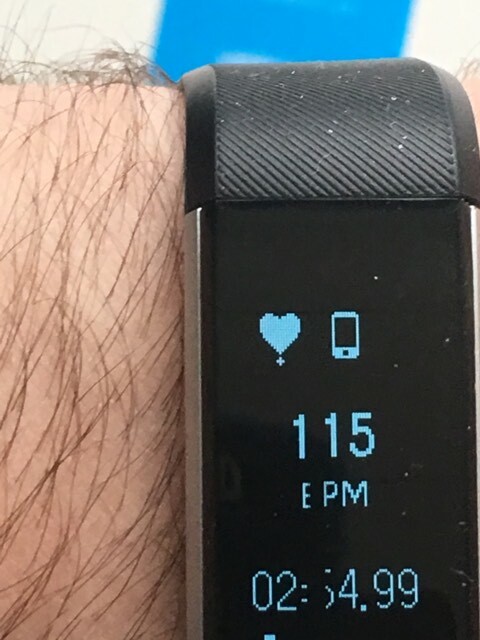 This activity tracker will track real-time heart rate automatically and continuously. It will automatically track your sleep duration and consistency with comprehensive analysis of sleep quality data, helping you adjust to a much healthier way of life. There is more! You can receive messages and calls on your wrist! Is that not awesome? Notifications from WhatsApp, LinkedIn, Twitter, Instagram and Facebook. Never miss your messages. 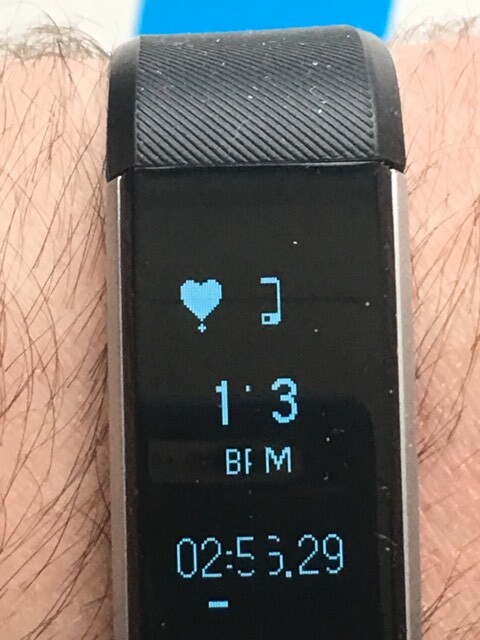 The activity tracker has a built-in USB Plug. It is easy to charge with any USB block or use a computer. There is no charging cable and dock needed. Just one single charge will give you up to seven days of working time. I think that is wonderful. This activity tracker requires iOS 7.1&Android 4.4 above, Bluetooth 4.0 for Smartphones only, not for PC, iPad or Tablet. Keep focused on your goals with this. I really love that the numbers are big enough and bright enough. You can see your activity and time with a 0.96″ LED screen,. Automatically light up and show step number when turn over hand. Choose your clock display based on the stats you want to see and the design that suits your taste. I recommend this for all of you that want a healthier lifestyle. It works so great at keeping track of everything. Never Miss Call and Message: See call, SMS and SNS notification on your wrist to keep your phone out of sight and your goals in focus. 0.96″ OLED Screen: See your activity and time with a 0.96″ LED screen, automatically light up and show step number when turn over hand. Wow this tracker has a lot of functions to it. I love my tracker but have been looking to upgrade. I will definitely check this one out! This does a lot more than most that I've seen!! I know when the weather warms up, I want to start walking more, this might really help. Thank you for the info. Too bad I don't have a smart phone--and even worse my Mom gave hers up--it was driving her crazy. She could definitely use this for the heart rate alone! Wow... it is crazy that I read this post today as I am on the market for a new fitness tracker!! I need this one!! I always wonder, if I actually purchased a fitness tracker would it motivate me to exercise consistently. If it will, then please sign me up so I can buy one. This option is priced budget-friendly which is important too. I also really like that there is a built-in gps so its a good investment. Fitness trackers just keep getting better and better! I use to raise my brow to gadgets like these but not till I read your post. I realize it is one great tool! Sounds like a really great piece of tech to help you stay fit, active and aware of your progress. I like that it adds subtle ways to help too. Seeing any progress can really be motivating! I have been trying to live a healthier life style, but struggling with the fitness part. Maybe this will me keep track of it.